Xoom, a subsidiary structure of the PayPal payment service, has launched a service of money transfer from the United States to Ukraine, the initiator of the group on the introduction of PayPal in Ukraine, Ilia Kenigshtein, has said. “Xoom is a money transfer system that PayPal bought in November 2015. Earlier Xoom was able to send money to 44 countries, Ukraine was not on this list. Starting from today, Xoom allows sending money from the U.S. to 130 countries, which include Ukraine,” he wrote on his Facebook page. According to Kenigshtein, currently only one of the system services, Cash Pickup, which allows recipients in Ukraine to take remittance in one of the banks listed on the Xoom website. Among the partner banks are Oschadbank, PrivatBank, Pravex-Bank, Ukrgasbank, Universal Bank, VS Bank, Accordbank, Industrialbank, Kredobank, Pivdenny Bank, Credit Dnipro, Vostok, Globus, IBOX Bank, as well as Ukrainian Financial Group. “As for the limits: you can send up to $2,999 per day, but not more than $6,000 during 30 days, or expand the limits through the form on the website, providing additional documents,” the expert said. The group’s initiator expects that in time PayPal, the parent company, will also provide services in Ukraine. 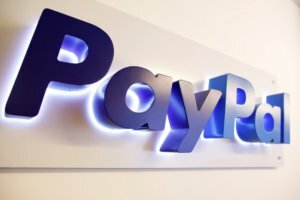 “In fact, this is a historical moment, confirming that sooner or later PayPal will come to Ukraine,” he noted. As reported, the volume of private money transfers to Ukraine in January-May 2018 increased by 30% compared to the same period in 2017, to $4.5 billion.